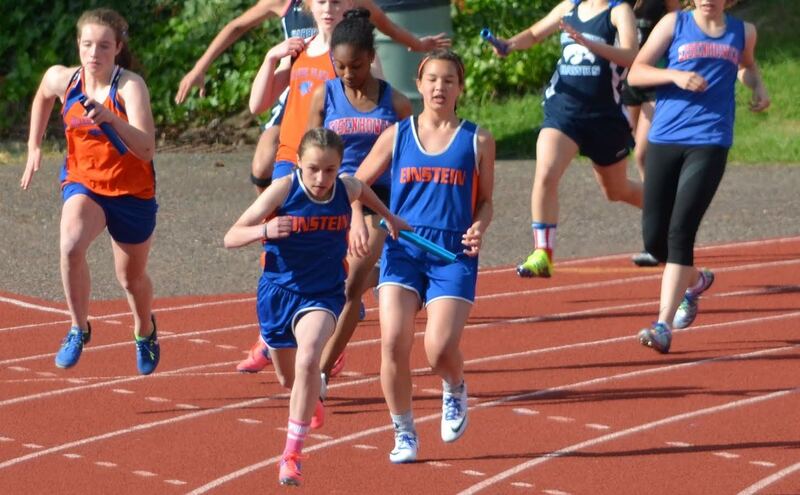 Team scores and final results from Wednesday's SNO KING Middle School Track and Field Championship meet held at Shoreline Stadium on Wednesday, May 23, 2018. SNO KING MS league consists of schools from Shoreline, Edmonds, Mukilteo and Everett School Districts. Out of 15 schools participating, Einstein girls came in 2nd for the 7th graders and 1st for the 8th graders. 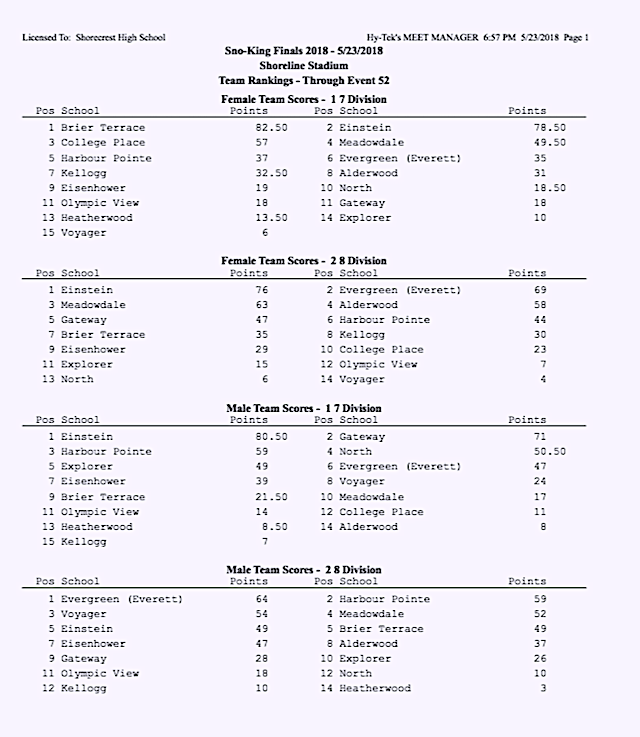 7th grade boys came in 1st and 8th grade came in 5th.